What? 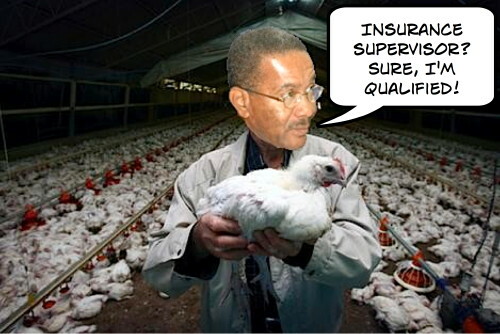 Not another scandal involving a Barbados based insurance company? No way! 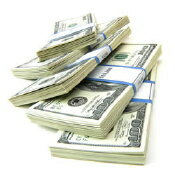 Although we have few rules for Barbados based insurance companies, we do have a $2,500 voluntary fine for multi-million dollar frauds by insurance companies. Our Supervisor of Insurance, Carlos Belgrave (in cartoon above), is the winner of an international award, so I don’t see what could be the problem. What’s the fuss? Just don’t mention names like CLICO, Manulife, British America or a few others and there’s no problem at all. Except that now the Gerova Financial Corporation is under investigation and most of the board resigned. Ho hum, just another day in the world of offshore finance in Barbados where the rules are a tad different from what some folks might think they are. I’m walking away from the BLP because I am disgusted with how the party is treating Mia Mottley. I’m not going to the DLP, I’m not going anywhere. I’m going to sit out the next election. When they call I’m busy and I will be missed because I’ve worked every campaign since 1988. If an election is called tomorrow, the Barbados Labour Party would be firing on about half cylinders because a huge portion of its membership, and many women, will not take a part in any election activities while Owen Arthur and his “gang” are still at the helm. Party insiders tell BFP that there is a desire by many to take revenge over last October’s coup by former Prime Minister Owen Arthur that saw then BLP leader Mia Mottley summarily ejected. “Let Owen get beaten to a pulp in the next election, then Mia can return to rescue the party,” said one long time BLP voter who was not a particular Mottley supporter prior to her ouster. It seems that the way in which Mottley was cast aside has increased her support. 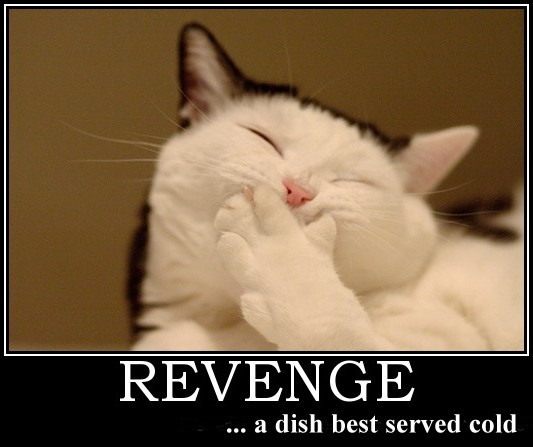 Oh very yes – revenge is a plate best served cold. Mia might take a long time to prepare the meal, but it will be served upon Owen’s table.